BCF : An Iraqi court on Monday sentenced a French man and a German woman to life in prison in the latest punishments handed down for belonging to the Islamic State jihadist group. Frenchman Lahcen Gueboudj, 58, and a German woman whose name was given only as Nadia were sentenced separately at the Baghdad central criminal court. 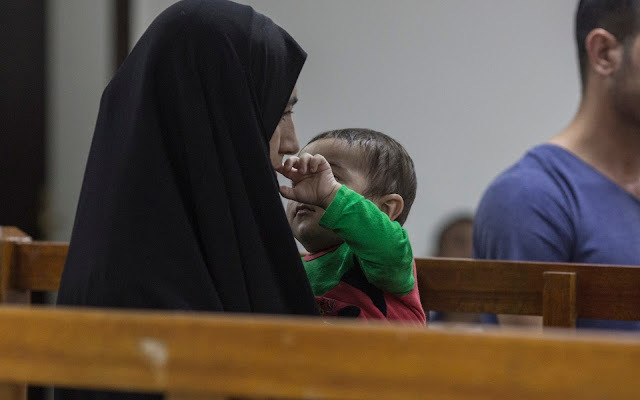 Nadia’s mother, a German woman of Moroccan origin, was sentenced to death in January for Isil membership but the sentence was later commuted to life, which in Iraq is equivalent to 20 years. The mother and daughter were arrested in July 2017 in Mosul, the jihadists' former de-facto capital in Iraq where the government declared victory over Isil in December last year.